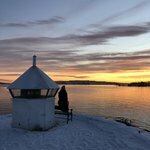 When you arrive in Oslo, take a scenic 4.5-hour train to the Dombås Station. Disembark here and catch another scenic transfer to Dovre National Park, the home of Europe’s last wild reindeer herds. 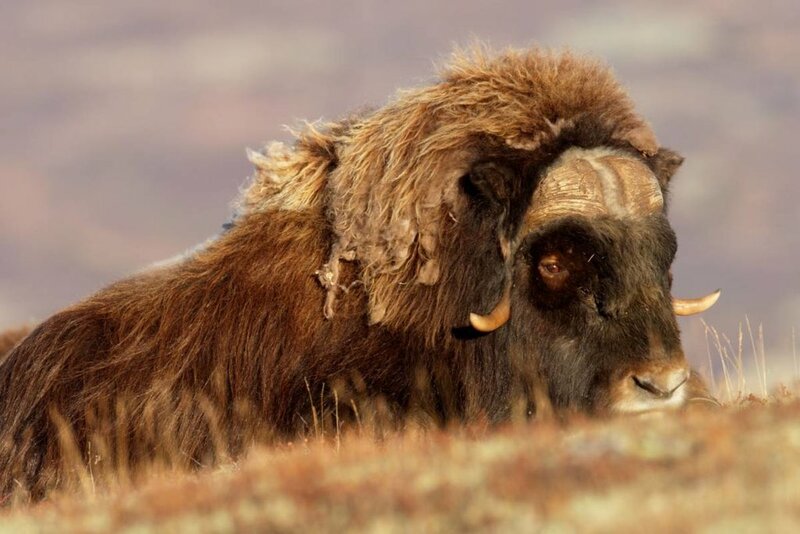 Wolverines and musk oxen are also common here, so keep an eye out. Start your national park adventure with a short visit to the Wild Reindeer Center - a building beloved by architecture buffs around the world and known for its sleek steel frame, gorgeous curved timber center, and a suspended furnace to keep you warm. Once you've had your fill, it's only 45 minutes from here to Oppdal, where your hotel, a short briefing, and a late dinner await. 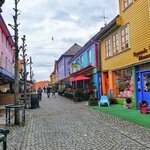 Start your first full day in Norway with a scenic hike from the hotel, through town, and up to Almanberget. 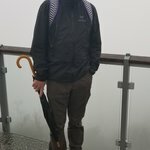 The hike is a challenging and picturesque local favorite, starting with a modest climb through a wooded path and open terrain, finally culminating in an hour of steep ascent above the tree line. At the summit, panoramic views of the Trollheimen Mountains and Dovre National Park greet you as you break for a typical Norwegian lunch of fresh bread, meats, cheeses, fruits, and vegetables. After soaking in the views (and your lunch), return via an alternate, gentler route back to the village. In the afternoon, follow a less challenging path from Oppdal to Vang, Norway’s second largest Viking-era graveyard, and a lecture on Viking lore from your hiking guide. The 758 graves, each its own tiny hill covered in short grass, date back to the Iron Age. When you've had your fill of spooky Viking tales, circle back to the hotel for dinner and a good night's rest. Ready for your first rafting adventure? 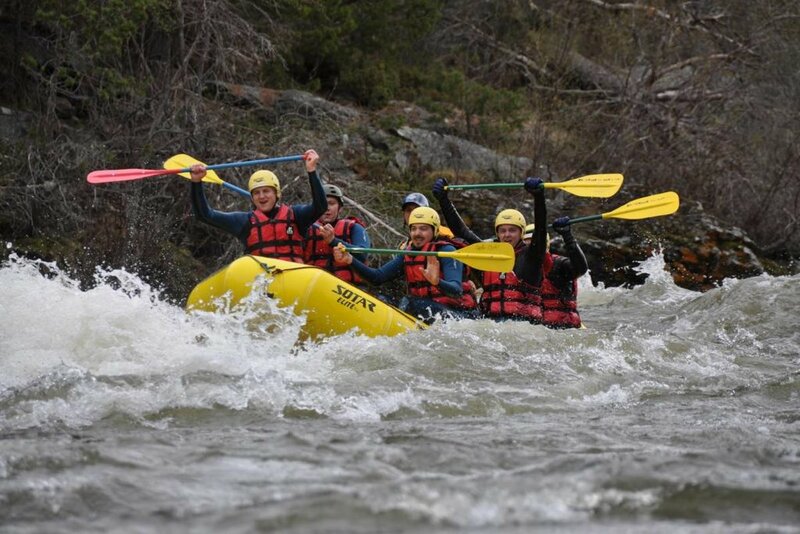 Today you'll tackle Class III and IV rapids on the Driva River - a river famous for its excellent salmon and trout fishing as well as its rafting. Meander through narrow canyons and 8 miles (13 km) of named rapids. Pause to cliff jump from large rocks into deep sections of the river. Head back to Oppdal for an afternoon to yourself. Hiking and biking trails and picturesque photo ops abound, and if you're feeling particularly adventurous, skydiving is available in town. Immerse yourself in nature again as you travel through the Nordmøre Wilderness, where narrow valleys and sheltered grain farms abound, to Sunndalsøra at the mouth of the Driva River. 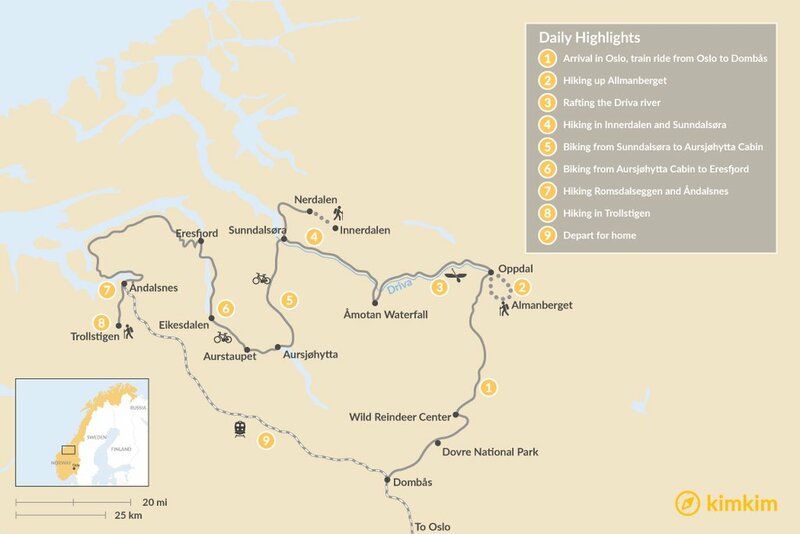 Cultural highlights - including the Småbruket herb farm and the Dovre and Sunndal National Park Visitor Center - beg you to pause and explore along the way. Add a stop for a short, steep hike to the famed Åmotan Waterfall, taking in steep cliffs, moraines, and terraces formed during the last ice age. Break for a lunch of homemade Norwegian waffles and brown cheese at a family farm before making your way onward to Sunndalsøra. Formerly a fishing getaway for British royalty, this Instagram-worthy village opens into the Sunndalsfjord. Pass through the city and along the fjord to Nerdalen, where you'll start your next hike - to the Renndølsetra summer farm in the heart of Innerdalen. Norwegians say this is the most beautiful valley in the whole country, so take the time to pause and soak it all in over some homemade farm fare before hiking back to Nerdalen and then driving back to Sunndalsøra for the night. Your next Norwegian adventure is a two-day bike trip along the Aursjøroad as it winds through tunnels, past fjords, and alongside meandering rivers. Start at the visitor center for a short movie about the cycle route and then tackle the 1,000-foot climb up Litldalen Valley. Keep an eye out on the left: BASE jumpers use these mountains as a launching point and you might just see one flying through the air before releasing a parachute and floating to the valley floor. Stop for lunch at a mountain lake before cycling into the Dovre and Sunndal National Park and wrapping up your ride at Aursjøhytta cabin on the western part of the Dovre massif. 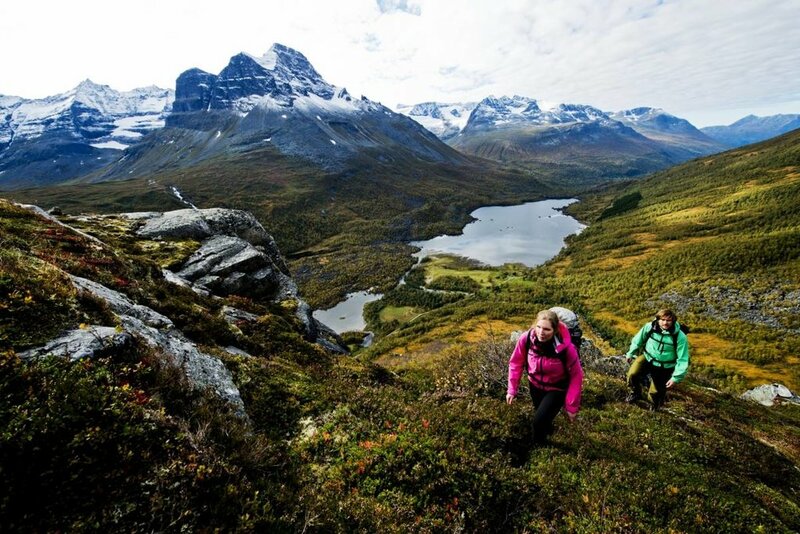 Expect views of gentle, rounded peaks and the Eikesdalen and Sunndalen-Litledalen valleys below. Enjoy dinner, the sunset, and a good night's sleep at the cabin. The challenging uphill ride of day five means today is a welcome day of descent. Wind down the mountain and into the Eikesdalen Valley, stopping frequently to take in the views and - if you're lucky - witness a reindeer crossing or two. 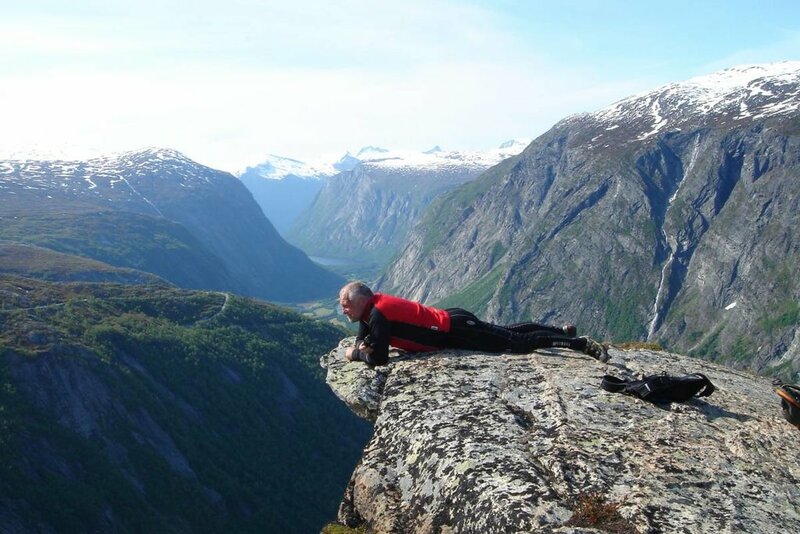 Pause at Aurstaupet - a famous BASE jumper take-off spot. And don't forget your swimsuit: there's a jettegryte (giant, water-filled natural hole in the rock) on the way. Ride carefully into the steep turns as you descend into tiny Eikesdalen, where the fourth largest waterfall in the world (Mardalsfossen) and sweeping views of a peaceful mountain lake await. The final 12.5-mile (20 km) ride from Eikesdalen to Eresfjord follows the shoreline of Lake Eikesdalsvatnet. It's flat, and the ride is easy. Stay the night at the farm of famed scientist and philanthropist Fred Kavil. 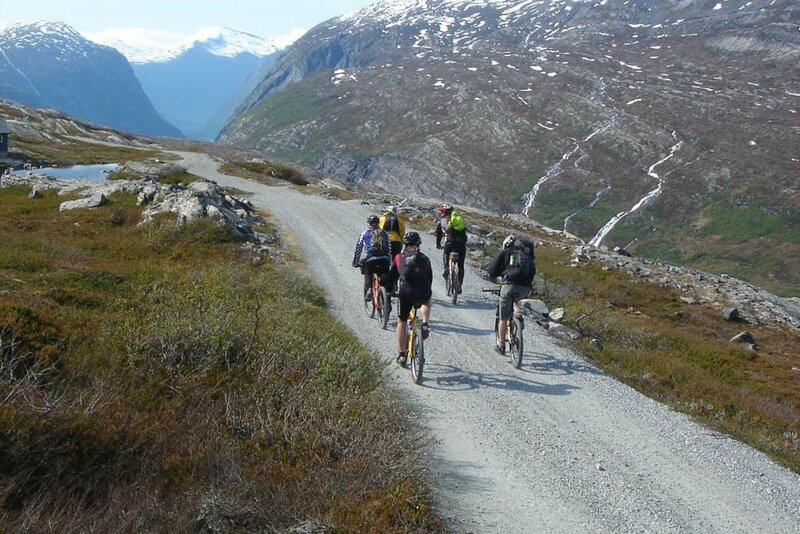 Leave your bike behind for another challenging day of hiking close to Åndalsnes, the Romsdalseggen mountain ridge. 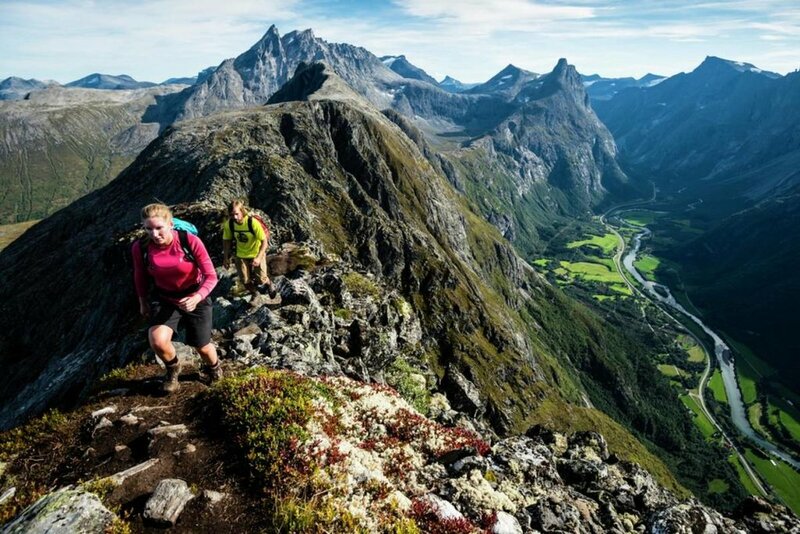 The hike winds above the town for panoramic views of the Rauma River as it empties into the fjord, the endlessly snowy peaks of Trollveggen, Romsdalshorn, and Vengetindene, and even the Atlantic Ocean. On the distant horizon, you'll see Geirangerfjord, where we started our journey. Back in Åndalsnes - known as the "village between fjell (mountain) and fjord" - celebrate your successful hike with dinner at the well-loved Hotel Aak, known for its excellent homemade food. Still feeling energetic? The region boasts hundreds more beautiful hikes up mountains, through fjords, and to hidden-away natural wonders. And if you're not? No problem. 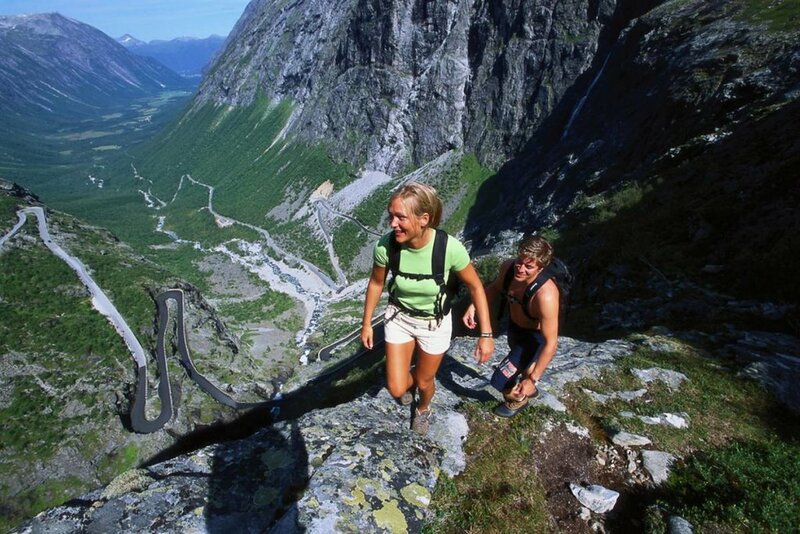 A drive up the famed Trollstigen mountain road will take you to a series of easy trails. At dinner, raise a toast to yourself. You've had an amazing, active week. A pretty 5.5-hour train ride awaits on your last morning. Don't get too buried in a book: the 71-mile stretch from Åndalsnes to Dombås on the Rauma Line is the most beautiful stretch in the whole country. In fact, Lonely Planet called it the most scenic train trip in all of Europe. 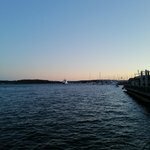 Arrive in Oslo and catch your evening flight, or spend a few extra days in the city known for its museums and green spaces.